“Summer in Bloom” is my newest Twilt. It includes tiny little pieces that I call Twiltlets. They are a great format for experimentation with bits of this and that. 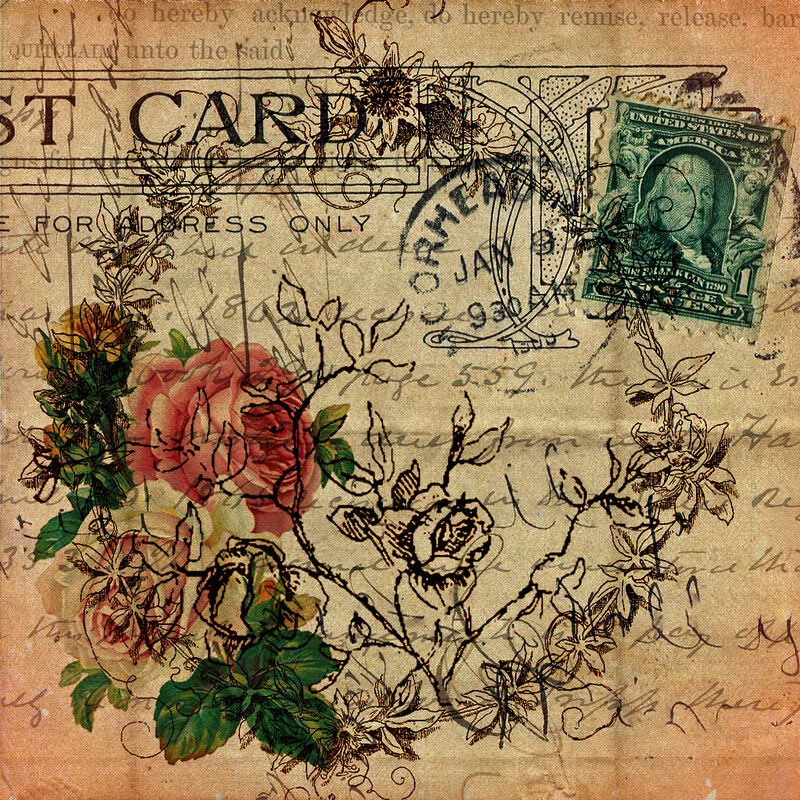 These four include, just to name a few things, trims, buttons, a picture on fabric, the corner of an old hankerchief, a heart paperclip and silk ribbon embroidery. 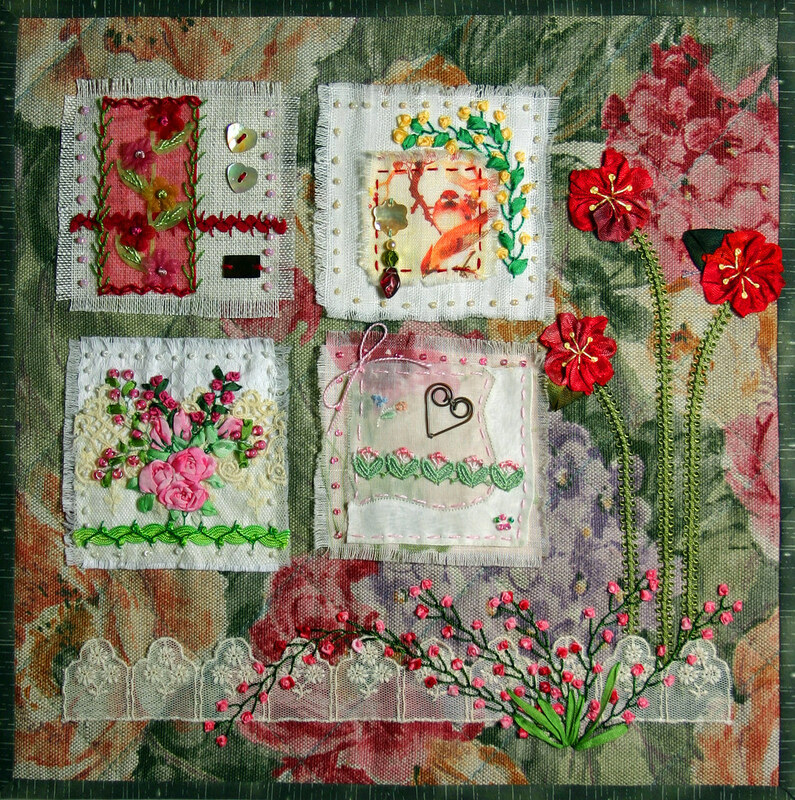 When I mounted the Twiltlets on the quilted linen print I added gathered flowers and a vintage lace that looked like a little fence. So, I added a rose bush with French Knot Roses. For more info on the Twilts: Twitter quilts…….Twilts or see all my Twilts : Flickr Twilts Page. Click on the image of the Twilt to go directly to it’s high resolution image. 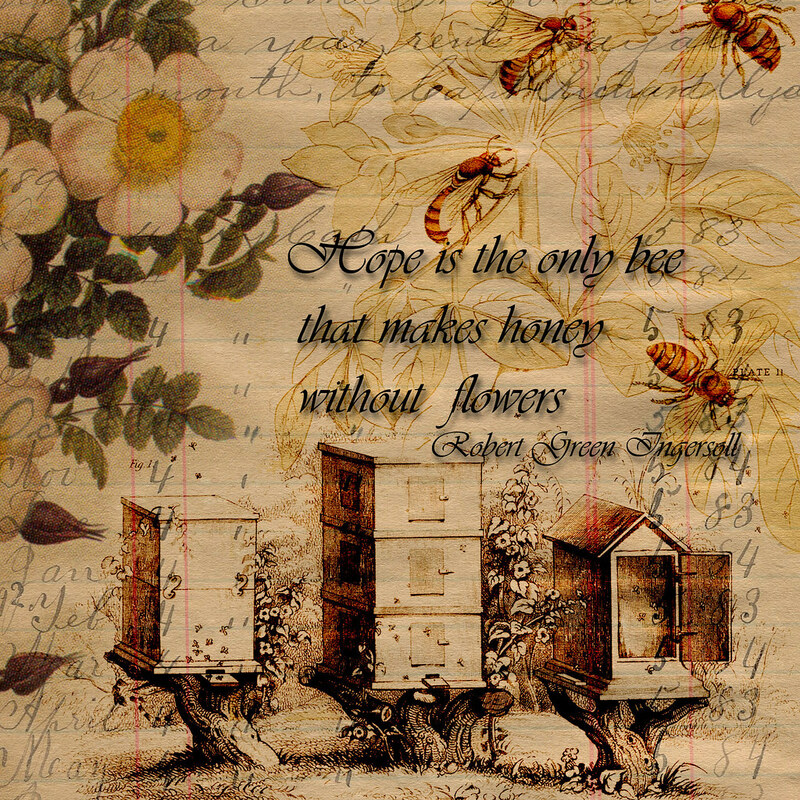 My newest collage, “Hope and Honey” uses a vintage ledger sheet, a flower image, an image of bees and an image of bee hives. 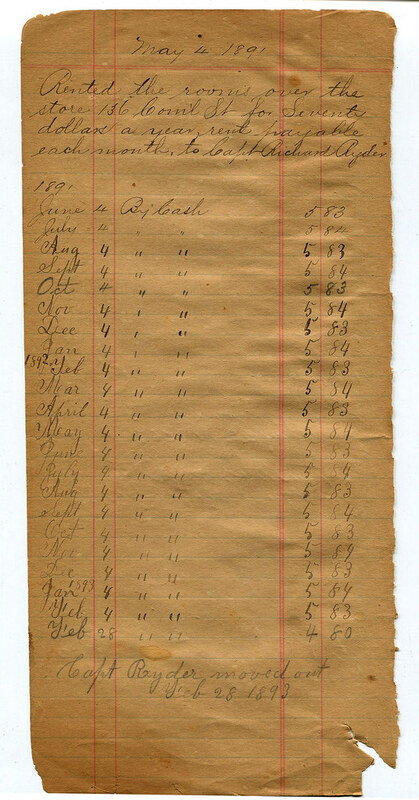 The image that I want to share this week is the background image of the old ledger sheet. I found the ledger book at the Rose Bowl swap meet a few months ago. 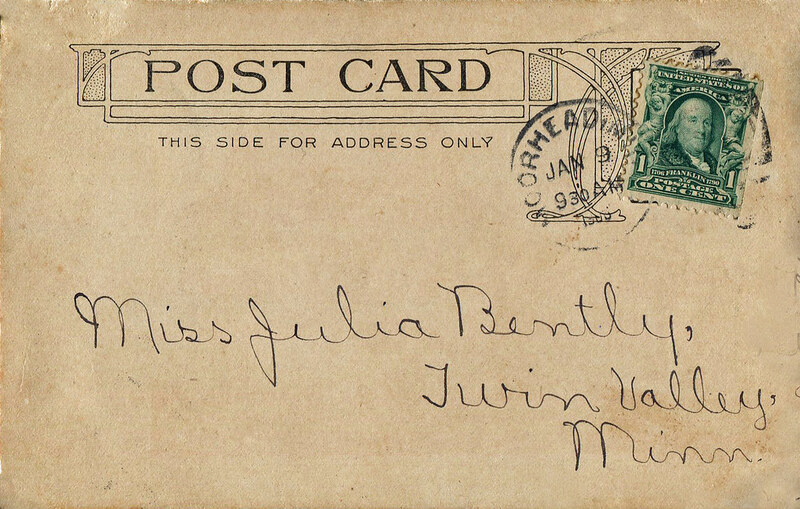 I love the way old writing adds texture in the background. The images of the bees and the hives are from http://graphicsfairy.blogspot.com/ .